I don't know the full path to a folder, just the folder name. I would like to find everywhere where this folder is using CMD. Is there a command that does this? /A          Displays files with specified attributes. If you'd like to know more about the dir command, just type dir /?into your cmd. how to list all files and directories in given directory with full path but not recursive? 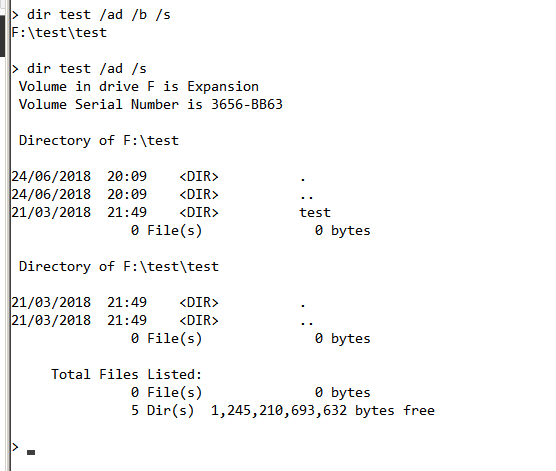 How to show full path of a file including the full filename in Mac OSX terminal? Windows: how cmd finds an executable not in path?